Illinois Main Street communities use the Main Street Approach to guide their revitalization efforts. 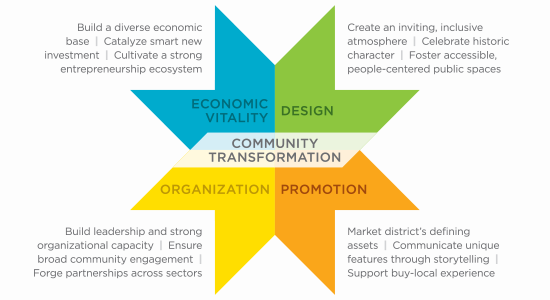 The Main Street Approach is a comprehensive framework that helps communities identify their assets and competitive advantage, and build from those strengths. The Main Street Approach helps communities get started with revitalization, and grows with them over time. IMS works with communities across the state to revitalize downtowns and commercial districts. Explore the IMS participating communities across the state committed to place-based economic development. Participating IMS programs receive technical assistance, coaching, access to specialized resources, and much more! Illinois Main Street supports a network of communities across the state that are working to bring prosperity to their older and historic downtowns and commercial districts. 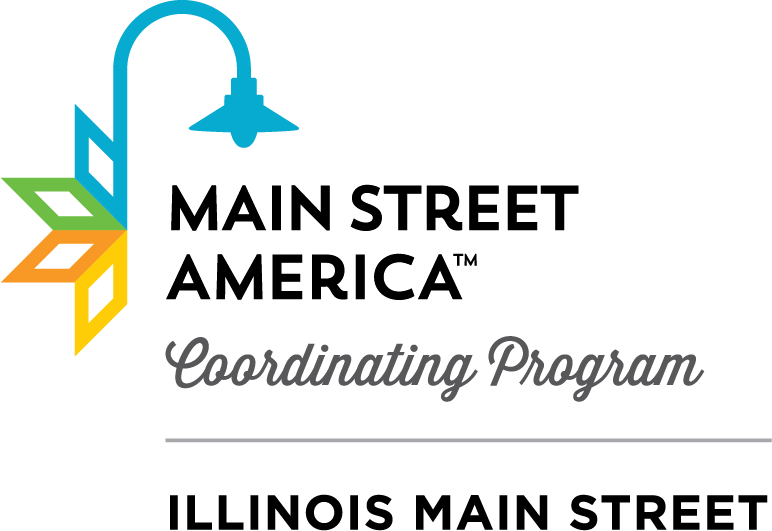 Illinois Main Street is part of Main Street America, a national movement of individuals and organizations with a shared commitment to bring economic vitality back downtown, while celebrating their historic character, and bringing communities together. Illinois Main Street is possible through support from The Richard H. Driehaus Foundation and the Anne T. and Robert M. Bass Foundation for their support. IMS is administered by Main Street America, a program of the National Main Street Center.